There's no better way to shine a positive light on your brand than to engage brand ambassadors to do so for you. Many companies will tap into their network of devoted customers and encourage brand ambassadors to speak highly of their brand to their own engaged following in exchange for free products or services. Paid advertisements try to tap into this valuable marketing tool because they know it works, creating ads such as "I'm a dentist and I recommend this brand of toothpaste to my customers." to elicit a relatable response from viewers. But viewers know that the people in those commercials are most often paid actors, hired to play that "I'm an everyday person like you" role. Brand ambassadors on the other hand, are real people, who truly believe in your brand. The reason why brand ambassadors are so successful at promoting businesses is because of the power of word-of-mouth marketing. Potential customers will trust the opinions of likeminded friends and influencers more than they will trust the marketing messages put forward by a brand itself through paid advertisements. In fact, studies have shown that people are more inclined to buy a product if someone they know has used it, than if they've watched a commercial for that product on TV. This is one of the many reasons why social media is such an effective marketing tool. Brand ambassadors humanize your brand. By showing their loyalty to your brand, other loyal followers will follow suit. They provide that "every person" appeal, eliciting an "I like it because they like and trust that brand" response, and they bring credibility, because unlike paid endorsements, they genuinely like and use your product or service, enough so that they want to tell others about it. 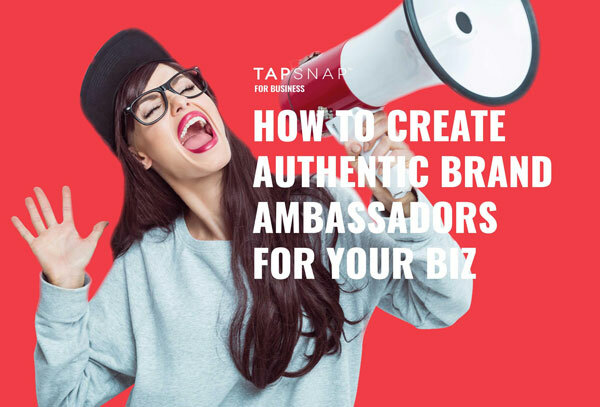 How to create authentic brand ambassadors. There are many ways to create authentic brand ambassadors - those who will engage with and spread the word about a brand organically, without the power of financial persuasion. The key to making this happen is to give your audience what they want, ensure that they have a positive experience with your brand, and then provide them with the tools needed to spread the word organically. A clothing store is introducing a new line to their selection of fashion items. To engage their existing customers and draw in new ones, they decide to host a launch event, showcasing items from the new line in the form of an in-store fashion show, and featuring the new items at a discounted price during the event. To expand their brand awareness outside the doors of their store, they could bring in a digitally-integrated photo booth, and encourage the event attendees to pose and snap photos wearing items from the new line for a chance to win a gift certificate to the store. The customers get to participate in an fun on-site activity, and the fashion brand reaches an unlimited number of potential customers in a fun and engaging way. They increase brand awareness and sales, in an organic way. Now imagine if that photo booth was permanently located in that store - that brand would receive endless free promotion - more cost-effective and valuable that a typical, paid, advertising campaign. 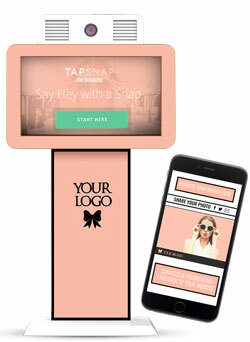 TapSnap not only offers photo booths for rent, but businesses can purchase their own booth designed specifically to suit their needs - a great way to engage customers and encourage them to share your brand with their followers via social media - on an ongoing basis. Here's how it works. Creating authentic brand ambassadors through permanently-installed photo booths will entertain customers and grow business. It's the new marketing, and it works.